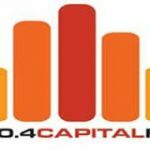 Capital FM 100.4 live broadcasting from Gambia. It plays various genres of music like country etc 24/7. It is one of the most famous online radio station on Gambia. The sounds of a new generation: Capital FM is Gambia’s most powerful radio station with the widest coverage on the FM band broadcasting on a single frequency, 100.4 Covering the whole of the Country and beyond. Our seasoned and highly professional staff utilizes the latest Of Radio technology through I.T development in our studios and offices to deliver the high standard of broadcasting we pride ourselves in. 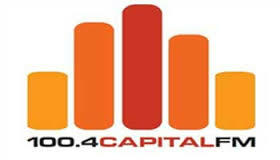 Capital FM seeks to portray the good ethics of Religion through the acknowledgement of teachings and inspiration. its objectives goes out to the accumulative and sustenance of norms and values of society, uplifting the degraded image of culture through exposures and successfully constituting the world of entertainment and good company through well developed concise programs.